It’s cliché to say that our jobs as B2B marketers is redefined at every turn, but I get why people say it. Change is constant, and it’s not always easy to discern a “best practice” from one marketer’s opinion. Or whether an “essential tactic” is really a shiny object that’s destined to distract. Sometimes you just need some sound, in-depth guidance. 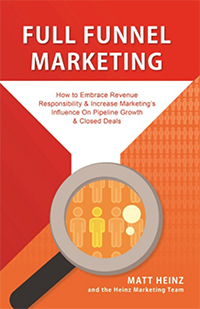 That’s precisely why we compiled this list of must-read B2B marketing books. Whether you hunker down with one of these works or read your way through the entire stack, we guarantee you’ll glean numerous insights that will inspire and guide your strategy. In no particular order, here are 10 books that will help you become a better B2B marketer. We marketers are quite comfortable in the upper stages of the funnel, driving demand and generating leads. But the pressure is on to nurture and drive leads into the lower funnel and directly impact revenues. While the concept is simple on the surface, it requires that we step into a bigger role and work with sales in new ways. This book by Matt Heinz is a terrific guide for doing just that. 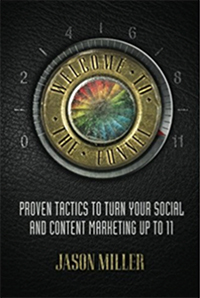 Our very own global content marketing leader – and rock n’ roll photographer on the side, which explains the title – Jason Miller published a practical guide for the modern marketer with Welcome to the Funnel. Based on lots of trial and error and his own vast experience amping up the impact of content and social media, Jason shares tons of practical advice you can put to use right away. And he does it in his own unique, rock n’ roll kinda’ way. As Jason says, “Time to turn it up to eleven!" 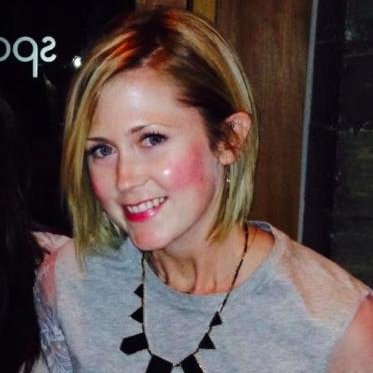 Standing out in today’s cluttered online, content-filled world is no small feat. What would you give to know the formula for truly rising above the noise and being remembered by your target audience? How does about $15 sound? 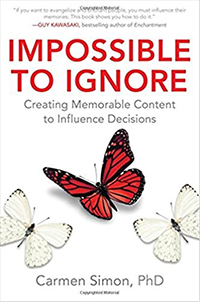 In Impossible to Ignore, Carmen Simon, cognitive scientist, shares the secret to tapping into psychology and neuroscience to create content that is, well, impossible to ignore. But don’t worry – you don’t need to be a PhD (like Carmen) to digest all this cognitive-science goodness. She breaks it down in practical terms and a three-step plan supported by real-world case studies and a helpful checklist for memorable content. Scott Brinker is the visionary who brought us the impressive and often-overwhelming marketing technology landscape supergraphic, and keeps us current on the growing importance of hybrid marketing-technology professionals. He lives and breathes the concept of marketing as a technology-powered discipline, and understands the challenges of marketing in today’s fast-paced, data-centric, buyer-empowered world. 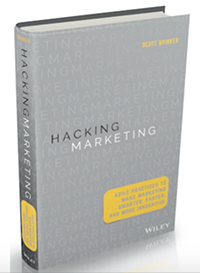 In this book, he maps out ways to apply software industry frameworks to modern marketing. Read this book and you’ll understand how to tame the chaos of marketing in today’s dynamic digital realm. We’re proud to present not one, but two books, authored by our LinkedIn colleagues. In this one, Russell Glass – VP Products for LinkedIn Marketing Solutions – and Sean Callahan – Senior Manager of Content Marketing – combine forces to bring you a well-rounded view into data’s impact on marketers. 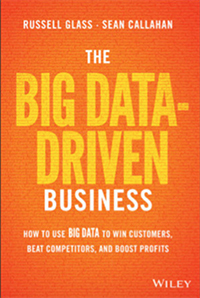 Read it and you’ll be well on your way to putting data to use for the good of your company. Carlos Hidalgo has built his career and reputation by tackling the tough, behind-the-scenes issues that stand between marketing success and failure. 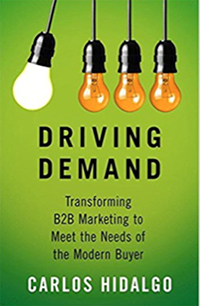 In this book, he takes on the essential issue of modernizing your approach to demand generation. This nuts-and-bolts approach to change management provides a roadmap, framework, case studies, and clear guidance on how to transform your organization. By the end of this book, you’ll know how to use a combination of inbound and outbound marketing to generate demand. You’ll also understand how to marry your efforts with the sales side of the equation. From the founder of the Content Marketing Institute comes a step-by-step guide to flipping the traditional business model on its head. According to Joe, developing a product or service and then taking that to market is a dinosaur of a business model. These days, he argues, it’s far more effective to first attract and build and audience. Get that audience to love you and the information you share, you’ll learn lots about them – including what they’re most likely to purchase. 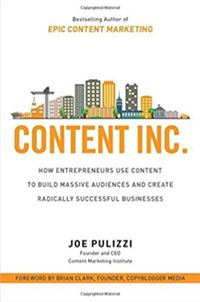 If you’re a marketer being charged with spearheading a startup’s success, the Content Inc. model may just be your blueprint for success. Get marketing and sales cranking in unison and you’ll create a dream team of revenue generators. 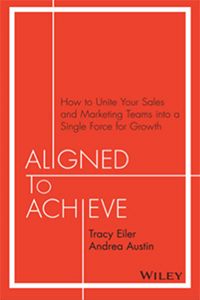 Sales and marketing alignment is known as one of the tougher nuts to crack, but as marketing and sales executives themselves, the authors cracked the code and share their lessons and guidance with you here. Based on their real-world experiences, Tracy and Andrea cover everything you need to know to get both sides of the house singing in harmony. 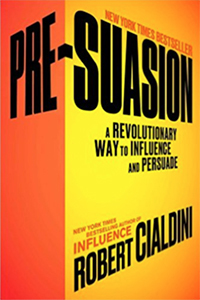 #9: Pre-Suasion: A Revolutionary Way to Influence and Persuade, by Robert Cialdini Ph.D.
At the end of the day, marketing is about persuading someone to take an action and, on some level, that means you need to change their minds. According to famed social psychologist Robert Cialdini, the way to prime people for persuasion is to focus on their state of mind. Influence your audience during what Robert calls the “privileged moment for change” and you prep them to be receptive to your message. This book offers up tips and techniques for mastering the art of getting your audience ready to agree with you. In a time-starved economy, attention is the new gold. 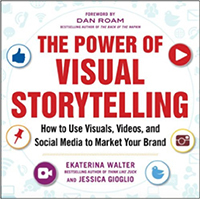 This visually engaging book shares real-world examples of leading companies using visual content and rich media – including photos, infographics, presentations, and videos – to tell their brand stories. Find out why and how visual content captivates, and how to get your organization on the path to visual engagement. For daily readings that will make you a more strategic B2B marketer, subscribe to the LinkedIn Marketing Solutions blog.